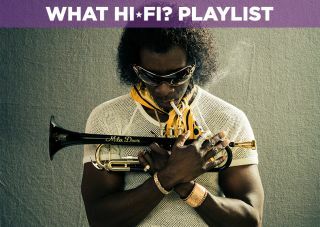 Miles Ahead - Blu-ray review | What Hi-Fi? An entertaining, if not overly enlightening, look at the jazz legend, complete with a sublime soundtrack. There are two ways in which you can view Don Cheadle’s directorial debut: as a candid biopic of modal jazz icon Miles Davis, or as an absurd action caper in which Davis is merely the protagonist. It is the latter, we believe, which holds most water and for which Miles Ahead is thoroughly entertaining, if not exceedingly insightful. It would be unfair to claim the film lacks any sensibilities or nuance; Cheadle aptly explores some of the complexities of Davis’s volatile relationship with his wife Frances Taylor, his prickly attitude toward others’ perception of his music and, through the character of Junior, allows him to reflect on his younger self. But the holding narrative, though non-linear, is very much one set to entertain. In the late 1970s, having released no music during an extended period of drug addiction, Davis is under label pressure to record. When his session tape is stolen from him, a chase ensues into which Rolling Stone journalist Dave Braden, played by a naff-haired Ewan McGregor, is dragged. There are car chases, shots fired and plenty of drugs and alcohol. It captures the disorder in this period of Davis’s life, but, without sufficiently delving into the intricacies of his mental state, it feels more one-dimensional than it ought. It all makes for a decent test of your home cinema gear, though, and we’re pleased by the sharpness of this Blu-ray rendering, which keeps up with the film’s pace and treads delicately with its often-morose colour pallete. And of course the entire principle of this film is the music. The soundtrack, as you’d expect, is chiefly Davis’s works. In fact, Miles Ahead makes for an almost ideal test disc for your sound system. Dynamics, timing and detail are going to be on trial, but also versatility: how your speakers integrate those high-adrenaline scenes with the music, and how they judge the difference between those pieces played live, on reel-to-reel or on the radio. Few films have such a spread of hurdles for a sound system, and probably fewer that are worth watching into the bargain. And Miles Ahead is absolutely worth watching. In many ways it feels like a missed opportunity to study one of the 20th century’s most mercurial and capricious musical minds, but Cheadle has undoubtedly been true to his own vision and paints an overall portrait of Davis, clearly with much admiration. On top of that, it is simply entertaining. If you really want to get inside Davis’s head, you can always read his autobiography. If you want to be entertained, this film is a decent companion.